This weekend was a rough one for my little guy. You see he just finished his week at camp and was upset about not going back. In addition to this, he was focused on his desire to purchase something. What is that you ask? Well, JSL has been a bit obsessed with sonic screwdrivers since TechyDad’s birthday. Real tears were shed when we told him he had to wait and it was not something that he had to have right now. Of course, in an attempt to focus JSL into a calm state I decided to record a video of him talking about the sonic screwdriver. Rather than run to get the video camera, I figured it was the perfect chance to test out the video on the Nokia Lumia 928 that I just received as a member of the Verizon Wireless Lifestyle Bloggers. 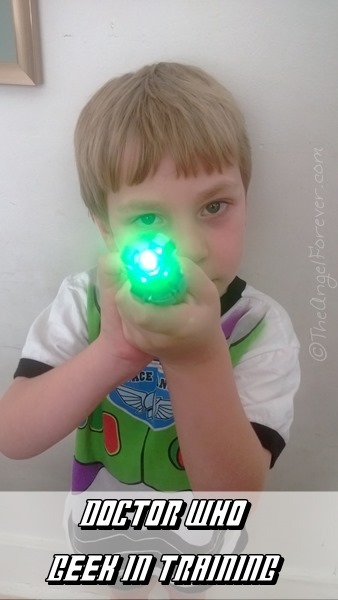 To keep him involved, I let him use TechyDad’s Eleventh Doctor’s sonic screwdriver for the video. JSL is a new Whovian in the making. He is still watching the first season of the revamped series and is excited to learn more about the new Doctors to come. 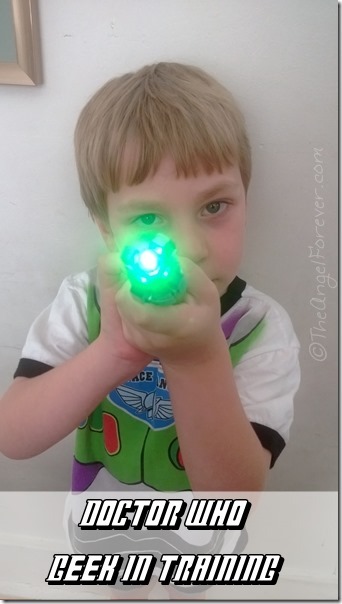 Here is my little guy sharing why he wants his own sonic screwdriver. Oh and for the record, JSL is already quite upset that he only has a few more episodes to watch with the Ninth Doctor. No doubt he will quickly learn to love the Tenth and eventually the Eleventh Doctor down the road. Ah, I love my little geek. Disclosure: As a member of the Verizon Lifestyle Bloggers, I receive different devices to check out in my life. There is no other compensation. I am a long time Verizon customer, and all opinions are my own. I used the Nokia Lumia 928 that was recently sent to me for all of the photos and the video within this blog post. In addition to this, I used SkyDrive to magically transport the items to my computer for use.